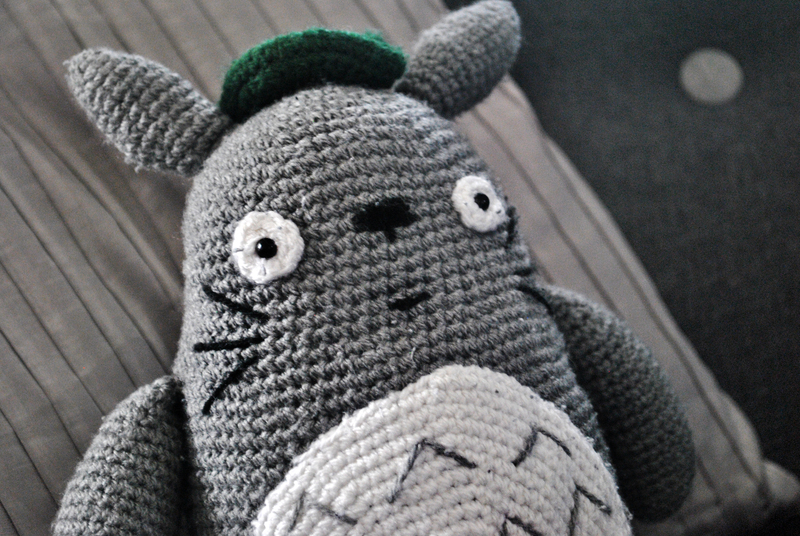 Crochet and Tea – Blog about crochet, amigurumi and drinking tea! 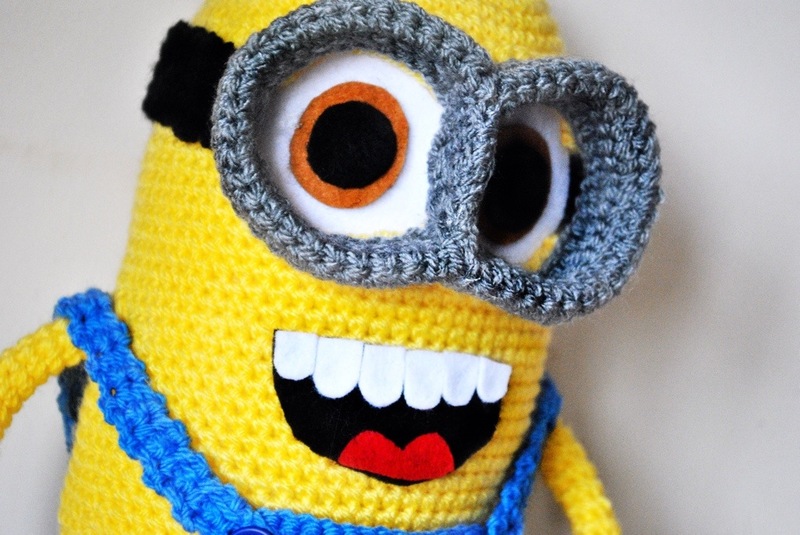 – – Page 2 – Crochet and Tea – Fanatical crochet designer and blogger sharing her crochet patterns, tips and inspiration. Secret Santa, a bunch of designers, handmade only rule! Sounds epic. Well that’s what I thought when my friend started a new job at a design agency. She’s in her first 3 months (probation period uh oh) so needless to say she went all out on her project. Not only did she learn to crochet in about 4 weeks, she managed to pull off a pretty complicated pattern for both an R2d2 and a death star, and that’s coming from me! If you fancy a go at your own Star Wars crochet, links to both patterns can be found below. Isn’t a ninja turtle just the best present for a 4 year old. Meet Lils and Raph. 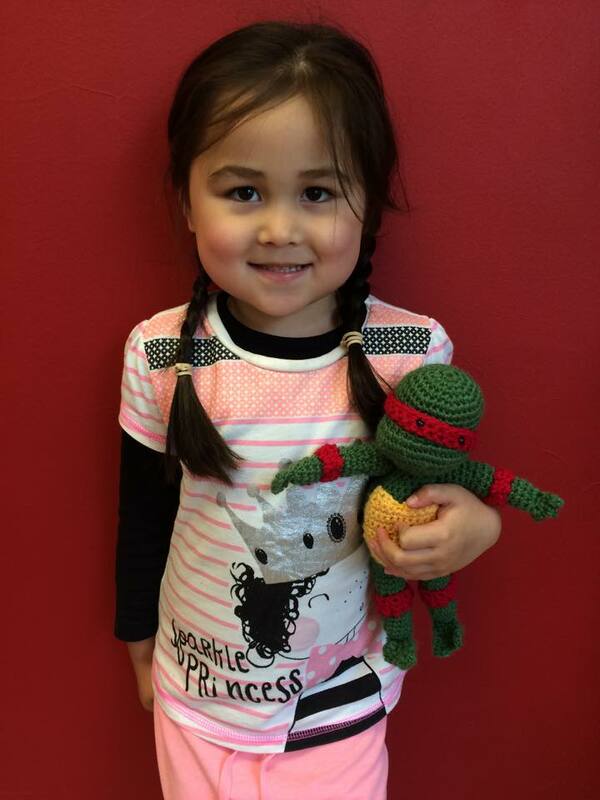 When she’s not fashioning her own nunchucks from key-rings she’s busy driving Raphael around in the turtle van! Having been distracted by the unfathomable Russian garment patterns proliferating Pinterest recently; I forgot how much fun amigurumi is. If you fancy a bash the pattern can be found here. To make this triangle cowl scarf you will need a 7mm crochet hook along with 2 skeins x (100 gr/3,53 oz = 170 meters/ 186 yards) of chunky wool. For the one in the photo I used Drops Big Merino – Anthracite (03) available from Wool Warehouse. 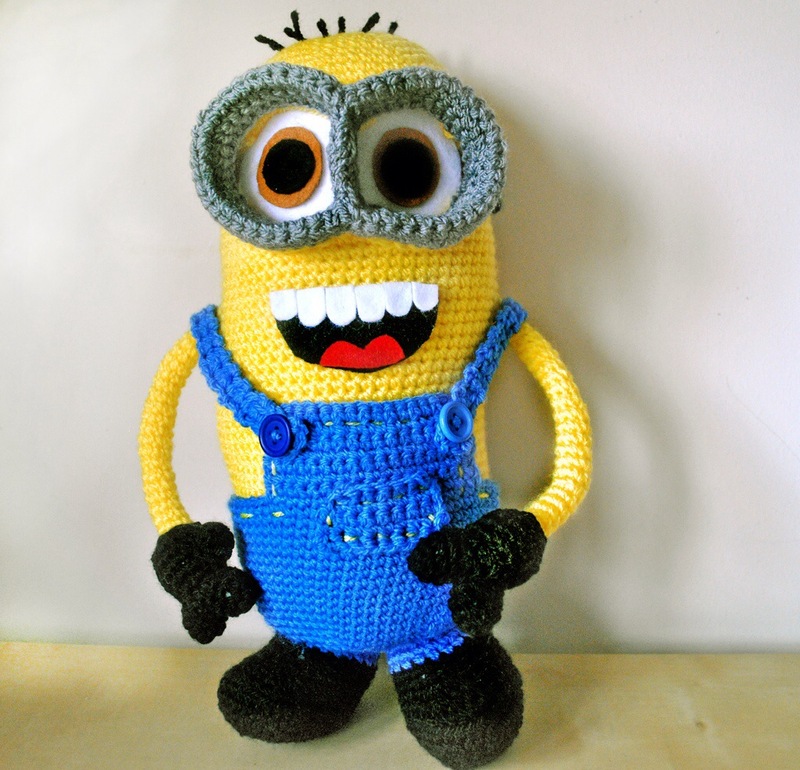 The pattern is designed by Eleven Handmade and can be purchased for £2.84. This is possibly the most used pattern I have ever bought and I’m now starting my 6th scarf. They make really great gifts and can easily be worked up over a weekend or a couple of evenings. The pattern is well detailed and includes plenty of diagrams and photos. I’ve been Googling crochet slouchy hat patterns for a while and never managed to find quite the right one for me. The key was that the hat should be made from a thick chunky yarn and would wash and age well. It also had to have a relatively quick build and easy stitch sequence. I’ve developed the following slouchy hat pattern and after 5 pull down and re-works I’m pretty happy with the end result. The hat should take around 3 hours to complete. You will need 100 metres of super chunky wool and hook sizes: L (8mm) and Q (15.75mm). 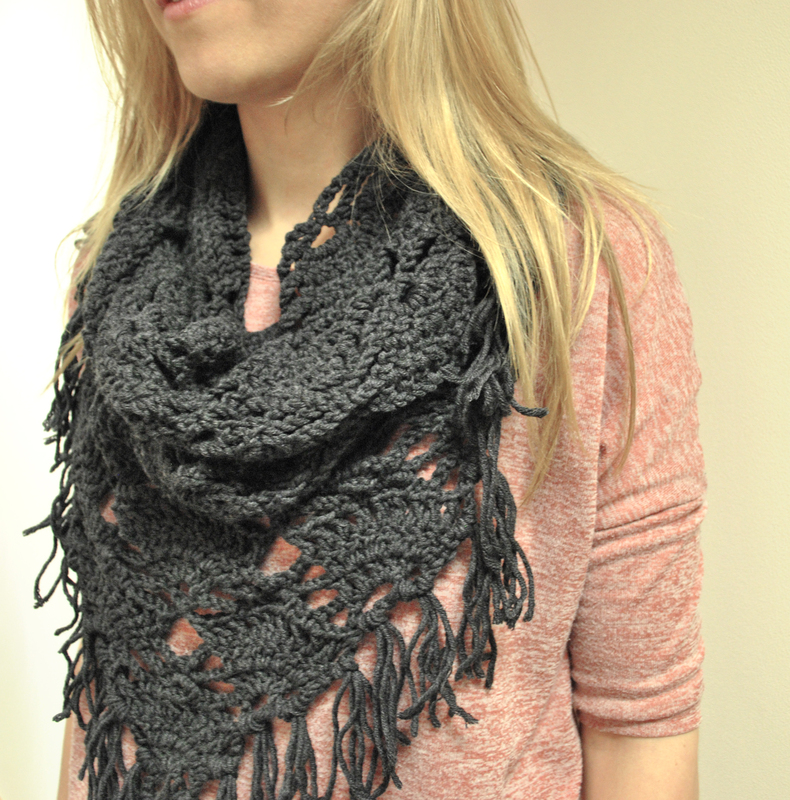 I used Lion Brand Wool Ease Thick n Quick – Charcoal (149) – 170 from Wool Warehouse. through stitch, yarn over, pull yarn through both loops on hook. 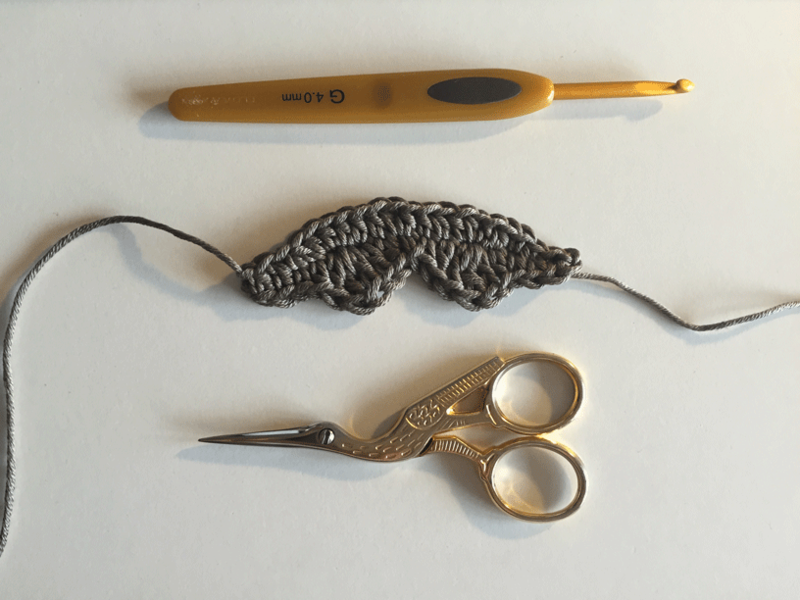 sc2tog: single crochet two stitches together – Insert hook into front loop of stitch then insert hook into front loop of next stitch yarn over then draw through all 3 loops on hook. Row 2: ch 1, turn. sc in both loops in first stitch, SC in back loop only next 6 stitches, sc in both loops in the last stitch. 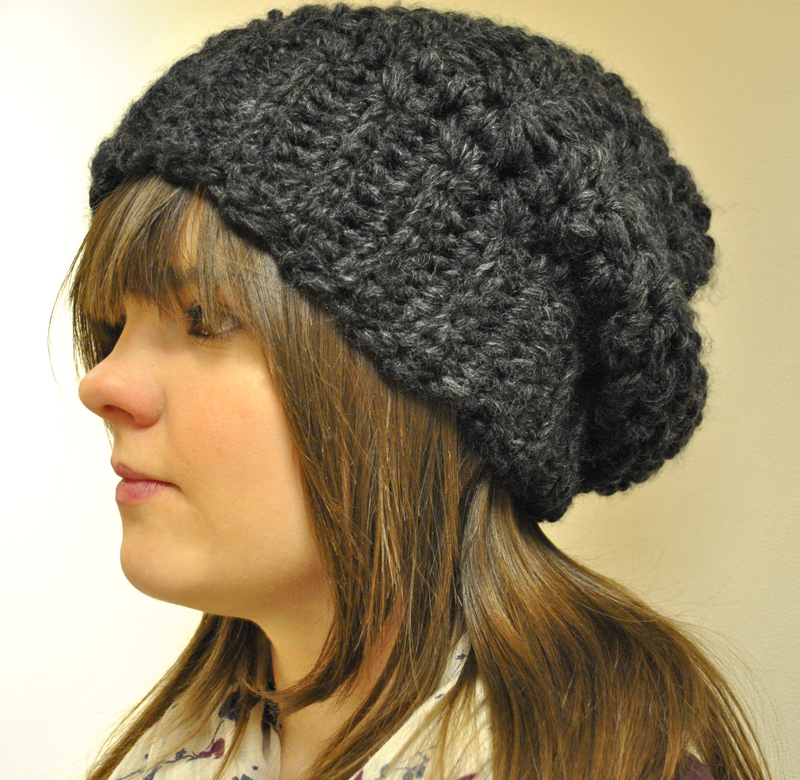 By only crocheting into the back loops of each row you create a natural rib effect which gives the hat some stretch; ensuring a nice comfy fit. Row 3-40 same at row 2. Join the ends of the band together to form a ring and sc through the stitches on each edge to join the piece together. You will see that at the top of each rib  there forms a natural hole, it is this hole that we will be using to build the body of the hat. 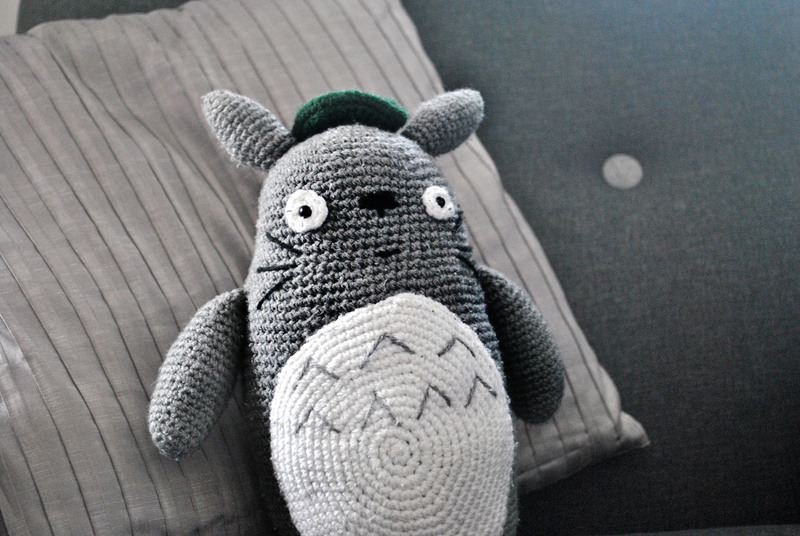 Please note that rows are not joined, keep crocheting around continuously. 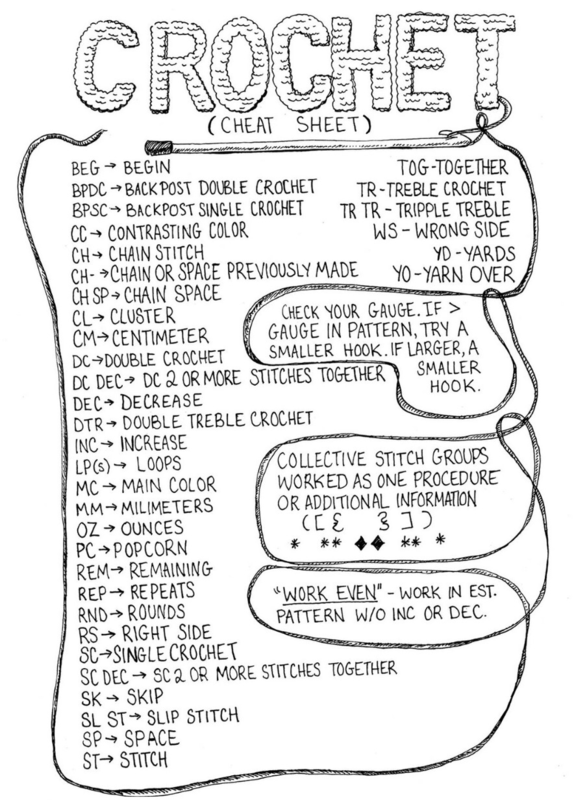 Use a stitch marker to keep track of your rows. Using your larger hook [15.75mm] ch 1. Round 1: 2 sc in each of the holes discussed earlier at the end of each rib, you will end up with 40 sc. Round 2: sc2tog, 2sc, repeat another 9 times until you have 30 stitches. 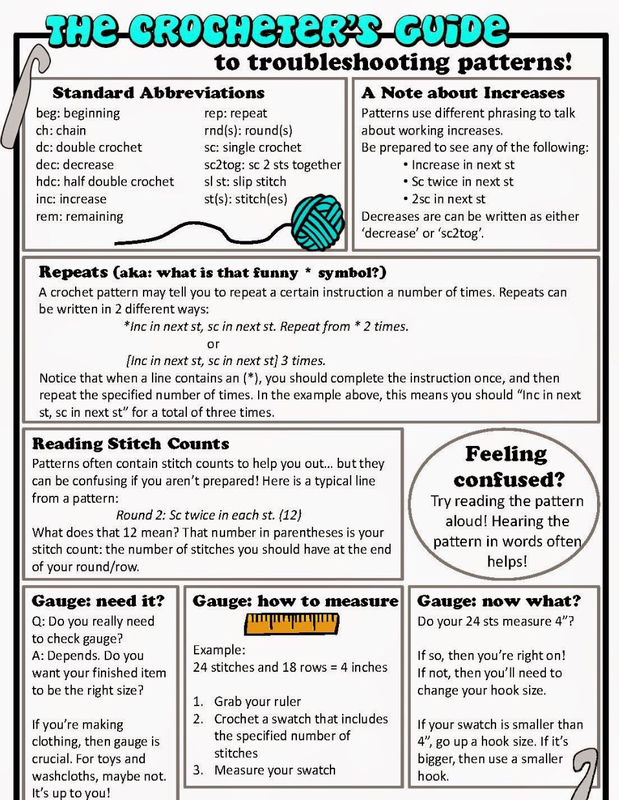 Rounds 3 – 10: [2sc in first stitch, skip next stitch] repeat. Round 11: Decrease 30 -20 [sc2tog, sc] repeat x10. Round 12: Decrease 20-10 [sc2tog ] repeat x 10. Leave yourself a 6 inch piece of yarn to draw up through the 10 stitches and pull together in a drawstring effect, fasten off. 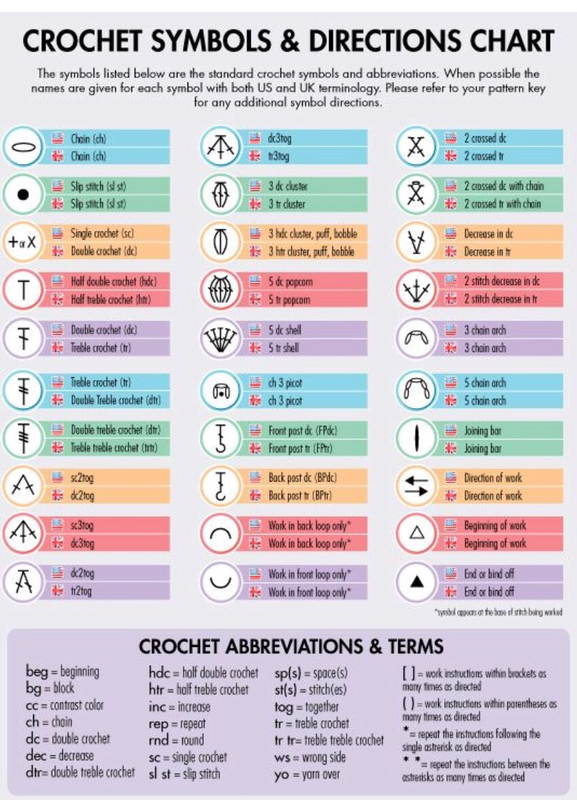 To help you keep track of all the different crochet symbols i’ve pulled together 3 of my top crochet reference sheets. The great thing about working with symbols is you can work from patterns in different languages. 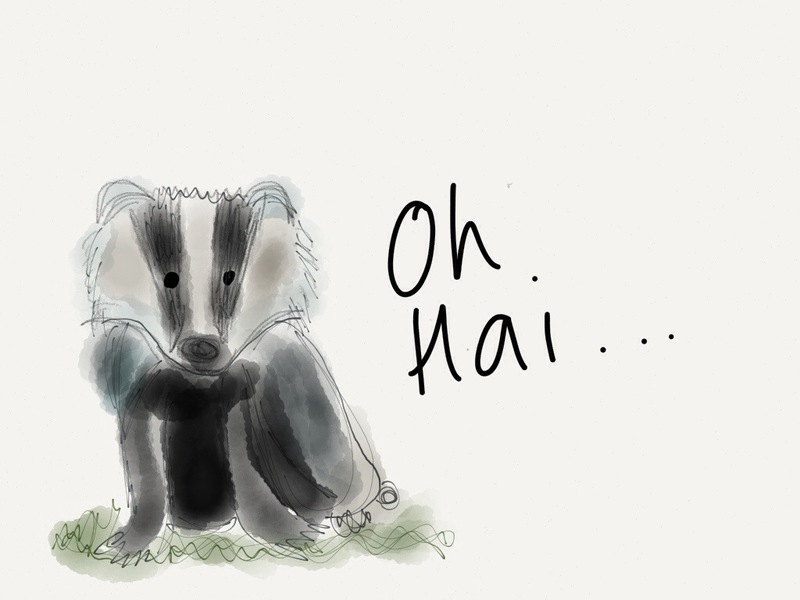 Loving the newly discovered drawing app called 53 for iPad. Such a cute interface with a library of sketch books and some lovely tools, which are pretty easy to master. 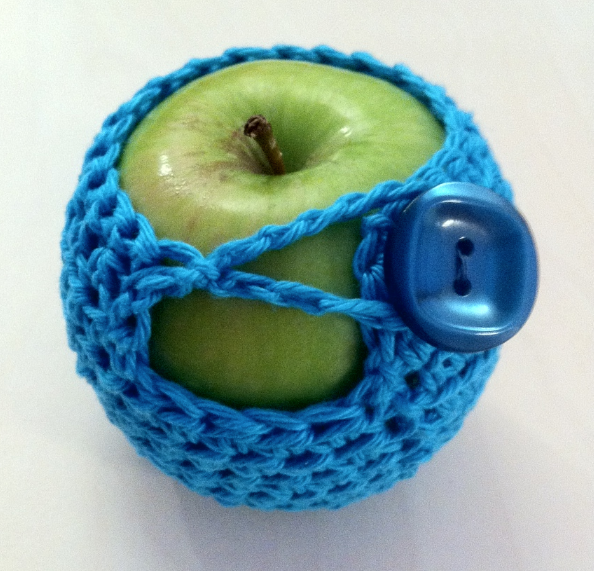 Crochet Apple Cover…Christmas crafting is upon us! With winter looming and Christmas on the tip of everyone’s tongues I found myself already starting to think about Christmas crafting. Giving and receiving homemade gifts is one of my favourite things and I think it’s a fantastic way to re-ignite the spirit of Christmas by spending your precious time crafting something for a loved one. Inspired by the many wondrous crocheted baubles, Christmas puds, mug cozies and jar covers out there I decided it was time to put my hookin’ skills to the test and have a go at making something both cute yet simple. Inspired by a recent feature piece in Mollie Makes I figured I’d have a go at creating my own apple cozy. It’s a pretty simple pattern using mainly (US) half double crochet, a row of double crochet for the decrease round followed by a single crochet edge. 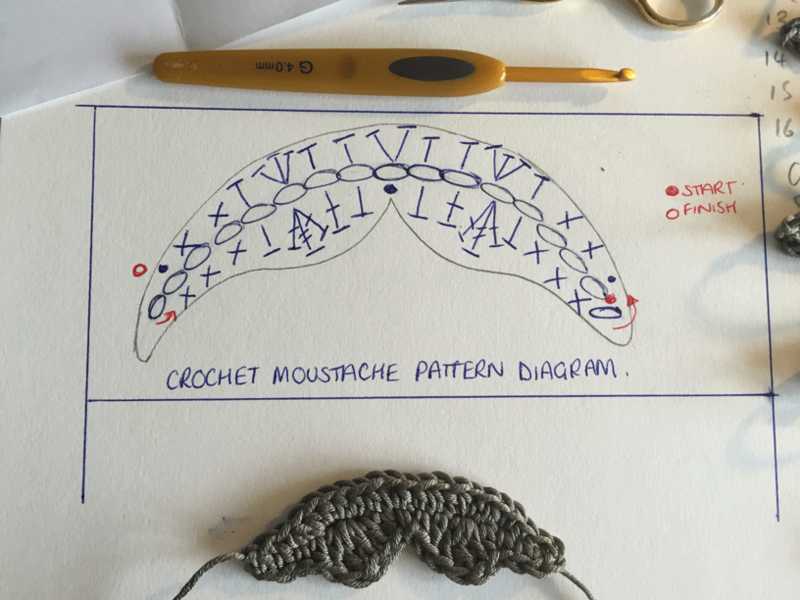 If you fancy having a go the pattern is detailed below. 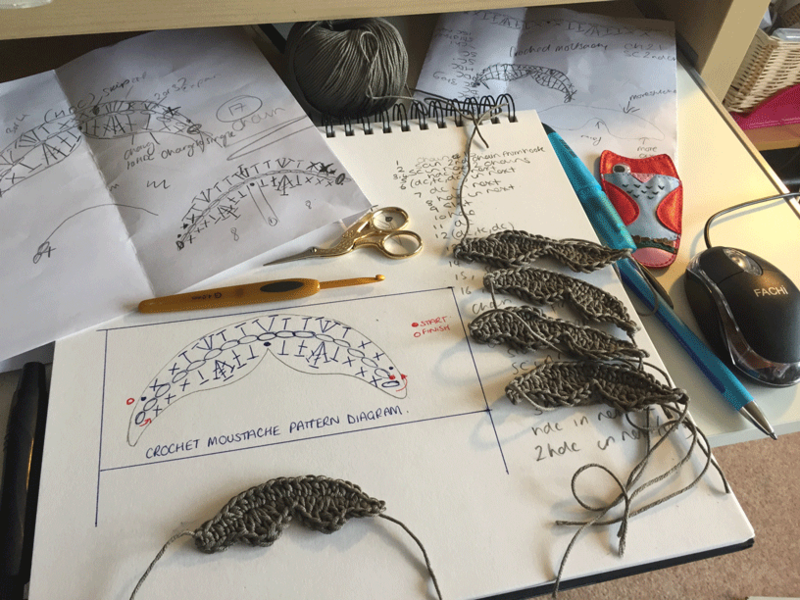 I’m a huge fan of the half double crochet stitch, it’s such a great stitch for quickly building up a sturdy yet tight project, so it was a no brainer that it would form the basis of my design. I’ve seen some lovely designs out there including Christmas puddings, cute animals or just general colourful cuteness. These are perfect for the tradition of including an apple or an orange in the bottom of a stocking. Rnd 2: ch2, 1 hdc in first st. 2 hdc in each st to end. Row 11: Add row of sc to edge. Finish: ch 12 – 15 (dependent of desired button) for button loop, slip stitching back into work to form loop.